Clear mahogany color. Herbal aromas of espresso crema, cola, dark roasted nuts, eucalyptus, and licorice with a fat body and a very complex, long lilac, molasses, caramelized vegetables, iced tea, and raisin finish. A superbly balanced bitter to serve in craft cocktails or neat. Bottom Line: A superbly balanced bitter to serve in craft cocktails or neat. 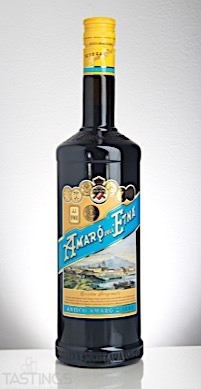 95 • Amaro dell’Etna Ricetta Originale 29% (Italy) $39.99. 84 • Casalini 2015 Pinot Grigio, Italy 12% (Italy) $9.99. 86 • Contour 2014 Pinot Noir, Monterey 14.1% (USA) $15.99. 86 • Copley London Dry Gin 42% (Netherlands) $16.99. 83 • Garnish Island Gin 46% (Ireland) $27.99. 86 • Grainger’s Deluxe Vodka 40% (USA) $15.99. 93 • Grand Mayan Silver Tequila 40% (Mexico) $69.99. 96 • Grand Mayan Ultra-Aged Tequila 40% (Mexico) $89.99. 84 • Harbortown 2014 Sauvignon Blanc, New Zealand 13% (New Zealand) $13.99. 94 • Monteru Rare Cask Finish "Sauternes" Brandy 40.8% (France) $57.99. 93 • Monteru Rare Cask Finish "Sherry" Brandy 41.7% (France) $57.99. 93 • Monteru Rare Cask Finish "Triple Toast" Brandy 42.7% (France) $57.99. 87 • Monteru Cabernet Sauvignon Single Grape Brandy 41.3% (France) $47.99. 94 • Monteru Chardonnay Single Grape Brandy 41.3% (France) $47.99. 86 • Monteru Sauvignon Blanc Single Grape Brandy 41.3% (France) $47.99. 85 • Old Mexico Oro Tequila 40% (Mexico) $13.99. 88 • Old Mexico Blanco Tequila 40% (Mexico) $13.99. 87 • Old Mexico Tequila Blanco 40% (Mexico) $13.99. 89 • Old Mexico Tequila Oro 40% (Mexico) $13.99. 88 • Solimar 2014 Vinho Verde, Loureiro - Azal, Portugal 10.5% (Portugal) $9.99. 87 • St. Elder Natural Elderflower Liqueur 20% (USA) $20.00. 86 • The Pogues Irish Whiskey 40% (Ireland) $39.99. 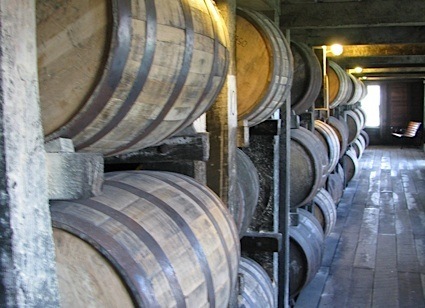 87 • West Cork Barrel Proof Limited Release Irish Whiskey 62% (Ireland) $57.00. 89 • West Cork Black Reserve Limited Release Irish Whiskey 43% (Ireland) $57.00. 82 • West Cork Bourbon Cask Blended Irish Whiskey 40% (Ireland) $27.99. 95 • West Cork 10 Year Single Malt Irish Whiskey 40% (Ireland) $39.99. 91 • West Cork 12 Year Rum Cask Finish Single Malt Irish Whiskey 43% (Ireland) $65.99. 92 • West Cork 12 Year Sherry Cask Finish Single Malt Irish Whiskey 43% (Ireland) $65.99. Bitter liqueurs are quite famous, especially those from Italy, such as amaro, and France. These liqueurs are made in various regions throughout these countries and are made from secret recipes of herbs and spices - some local, many imported from other territories. The herbs and spices include things such as orange peel, rhubarb, pomegranate and tree bark. Quite often these are mixed with fruit juices for pre-dinner cocktails, while most examples of amaro are enjoyed straight, often as a digestif. Alcohol levels are usually around 20% to 25%. Amaro dell’Etna Ricetta Originale rating was calculated by tastings.com to be 95 points out of 100 on 10/31/2017. Please note that MSRP may have changed since the date of our review.